In the 17th century, King Louis XIV of France elevated the humble pea by ordering it to be placed, en masse, on the dishes served at the parties in his most elegant palace. Tasty snow peas were being developed in Holland at about the same time Louis’ guests were rolling them around on their plates in Versailles. After the colonists arrived on the shores of America, peas were introduced to the “New World” and thus became a staple here. Peas, as legumes, belong to the family of beans. In the 19th century, an enterprising monk and botanist, Gregor Mendel, played a pivotal role in the budding field of genetics by crossbreeding peas in his experiments. A more modern experiment, in the 1970’s, crossed the common garden pea with the snow pea to result in a new product: the sugar snap pea. To extend the edible life of the pea, most are canned or frozen; only 5% of the fruit is marketed fresh. 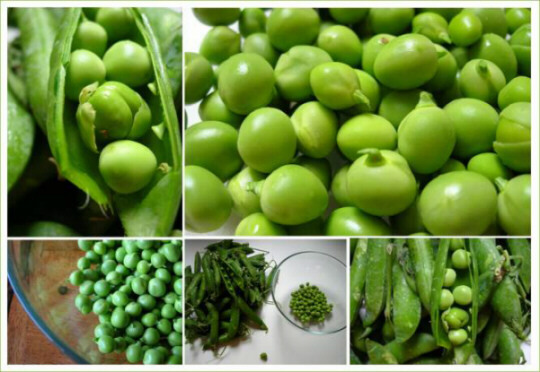 Today, the largest growers of fresh peas are the United States, Great Britain, China, Hungary, and India. At the turn of the 20th century, when America opened its doors to thousands of immigrants flocking in from Western Europe, those throngs included Italians. Their culture had a history of cultivating, drying, reconstituting, and eating legumes. Along with their food and its preparation came the Italian culture. Many Italians celebrate Spring by eating fresh peas at their peak. Although this peak occurs in May, peas are in season from February until September. As a boy, I would sometimes help my mother shuck fresh peas from their pods when she made a delicious vegetable soup with other assorted vegetables. Many families of Italian immigrants grew up on pasta e fagioli (macaroni and beans, usually cannellini), lentils and peas, lentils and pasta, and pasta e piselli. All of these dishes from “the old country” are meatless; all are very tasty and healthy. And all go a long way in feeding a hungry family on a stretched-to-the-limit budget. Peas have also been used as ravioli filling in place of the usual meat or ricotta cheese. Pea ravioli are usually served with a rich pesto sauce. One of the joys of growing up in an Italian family is to reminisce about the old days and our favorite dishes. As I listened to these tales, I sometimes smiled and interjected, “Did you ever eat stuffed peas?” With that, everyone around the table looked quizzical until one brave soul asked, “How do you stuff peas?” With a wicked grin and a bad Italian accent, I would reply, “Upper U.S.,” thus giving my audience a little chuckle. Peas have been also used as bait in catching fish and small animals. Armed with a wooden mallet and a can of peas, the hunter or fisherman spreads the peas on the water or the ground and waits patiently. As soon as the beast comes in range, he hits it on the head. Believe that one, and I have a Bugs Bunny cartoon to sell you! As Bugs noshes his carrots (another veggie best left to another story), let us return to the pea’s main use in our society. It is a wonderful legume in all of its varieties. It brightens plates, provides nutrition in a pretty little package, and gives our grandkids something to play with at the dinner table, other than their sisters’ pigtails. In today’s fine Italian and Continental restaurants, one often finds the hearty peasant dishes, such as pasta e fagoli. Like King Louis’ peas, the modern pea and its cousins in the legume family are now served to very discerning diners!